Notification centers, Bluetooth speakers, and wireless charging docks are nothing new – but the concepts find a common place in the Glowdeck, aKickstarter project that combines all three functionalities in one package – and a single price tag. Until now, we’ve seen these three types of gadgets designed for various consumer types. The Quirky Nimbus clock is a cute tool for data nerds, the Jawbone Jambox (and other iterations of sleek wireless speakers) target the design-obsessed, and inductive chargers like the Duracell Powermat want to help do away with cable wires. The problem? To own all these devices, you’re looking to spend at least $150 per set. 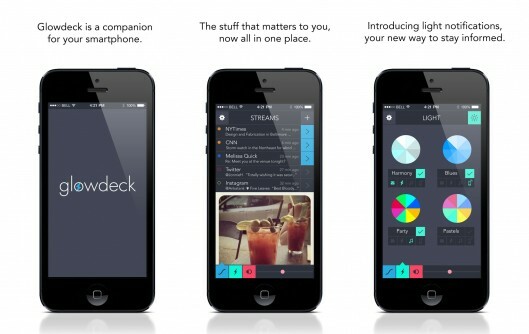 And that’s the problem Glowdeck creator Justin Kaufman was hoping to solve when he designed the multipurpose Glowdeck. “I wanted something that did all of the above, but also did it well,” . 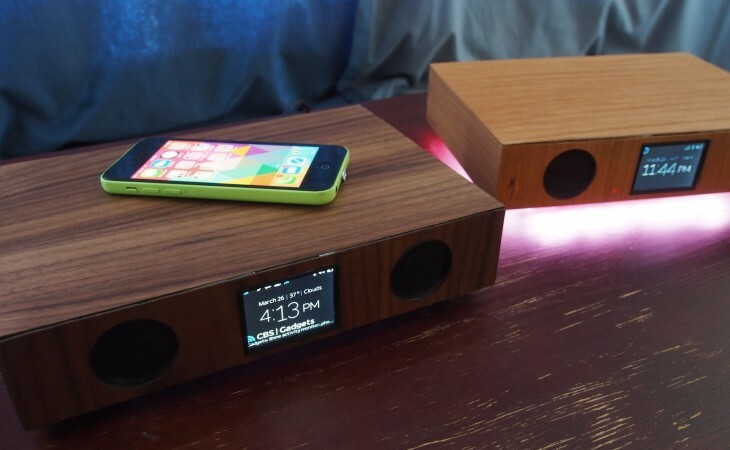 The Glowdeck is a wood-based box that packs in speakers, microphone, wireless charging copper coils, LED display and lights, USB port, and Wi-Fi connectivity. The idea is that once you have the Glowdeck connected to your local network, you can receive all your phone’s notifications without ever touching the phone while it’s charging. Because you can pair your smartphone to the Glowdeck via Bluetooth 4.0, the device can read the phone’s battery percentage to stop charging once it reaches 100 percent. Should the battery level drop (say, while you are sleeping overnight), it will recognize when the charge depletes and begin juicing up again. “This method allows us to preserve the battery life of your phone, unlike most chargers out there that keep adding charge as long as the device is plugged in,” Kaufman explains. Once paired, the Glowdeck can notify via colored lights or sound to denote new text messages, emails, or alarms. Pressing the Glowdeck also enables voice command via Siri or Google Voice. Since the deck is equipped with a microphone, you can also use it for handsfree phone conversations. In our hands-on testing, we tried charging with an iPhone 5c, 5s, and a Samsung Galaxy S4. Most Qi-compliant phones will wirelessly charge without any add-ons; those that do not (such as the three we tested) can easily become Qi-ready by using an adapter or specially-designed phone case. It takes a few seconds for the Glowdeck to recognize the device on the surface before it begins charging, but once it does, it works like a charm. On the speaker front, this thing can get pretty loud. It’s not as portable as a Jambox, but it’s a great device for playing music in a social setting without rapidly depleting your phone’s battery life. If you really want to get fancy, the Glowdeck can also sync with the music and display light shows to match the rhythm of the tunes. Kaufman and the Glowdeck team are currently working on an accompanying app that will allow users to customize the LED display, news streams, and light notifications. Just like you could change light colors to denote different notifications with the Philips Hue smart bulbs, you can set the Glowdeck to blink in different shades. 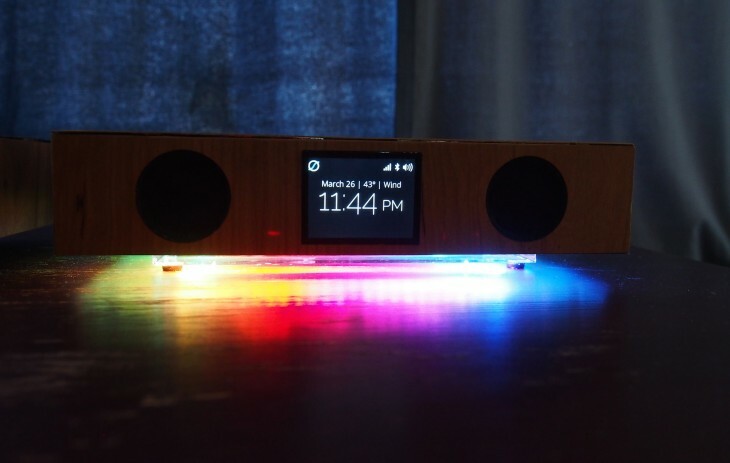 His Kickstarter project, currently aimed at beta testers, invites developers to play with the open-source hardware to make Glowdeck a true “companion to your smartphone.” At the time of publish, the project has nearly tripled its initial goal with three more weeks to go. You can earn the acrylic Glowdeck beta unit as a reward with a pledge of $190, or pledge least $215 to qualify for a cherry, walnut, or maple wood versions. The product is estimated to ship in July. Will your product be supported for nokia lumia devices with qi support?